[20:04] <+BedrockBrendan> Called Sertori in the game, they increase in power as they gain followers who worship them. [20:05] <+BedrockBrendan> Sertorius came out in PDF during the summer and will be available in print very soon. [19:02] <+Dave_So77> I’m David Kizzia, co-creator of Spirit of 77. [19:03] <+Bob_So77> And I’m Bob Richardson. [19:03] <+Dave_So77> Spirit of 77 is based on the world of 1970’s pop culture, utilized the Apocalypse World engine. [19:04] <+Dave_So77> We’ve tried to incorporate all the different archetypes of the 70’s into one system. Everything from the Six Million Dollar Man, Dukes of Hazzard, Ziggy Stardust, John Shaft, The Warriors. Everything and anything is possible. [19:04] <+Jason> He doesn’t talk much. [20:07] <+RobinDLaws> I am writer and game designer Robin D. Laws, known for such games as The Esoterrorists, Dying Earth, and HeroQuest. My last Kickstarter project, Hillfolk, won the Diana Jones Award and 2 Indie Games Awards at Gen Con this year. [20:08] <+RobinDLaws> I am the author of eight novels and a short story collection and am the Creative Director for the Stone Skin Press fiction line. [20:08] <+RobinDLaws> Feng Shui 2 is the fasterer and furiouser version of the classic RPG that introduced gamerdom to Hong Kong inspired action movie roleplaying, retuned for a new generation. [19:07] <+SpartacusPub> Typing today is for our publisher, editor, and general go to guy Casey Clark. Also responding under this handle will be Gabe Ivan, writer and creator. Thom Thurman, our art director and cover artist could not join us this evening. [19:07] <+SpartacusPub> Formerly Death’s Edge Games we produced the Inferno RPG, fantasy role-playing in hell, and its support books Out of the Abyss and Gods of Hell. We also re-released the Bard Games classic RPG Lost World of Atlantis. Under Spartacus Publishing we have released Casey’s BattleDragons, a fantasy RPG with miniatures combat, and Luchador: Way of the Mask. [19:02] <+Stacey> hi. im stacey montgomery. i sometimes post on the rpgnet forums as Princess Stacey. 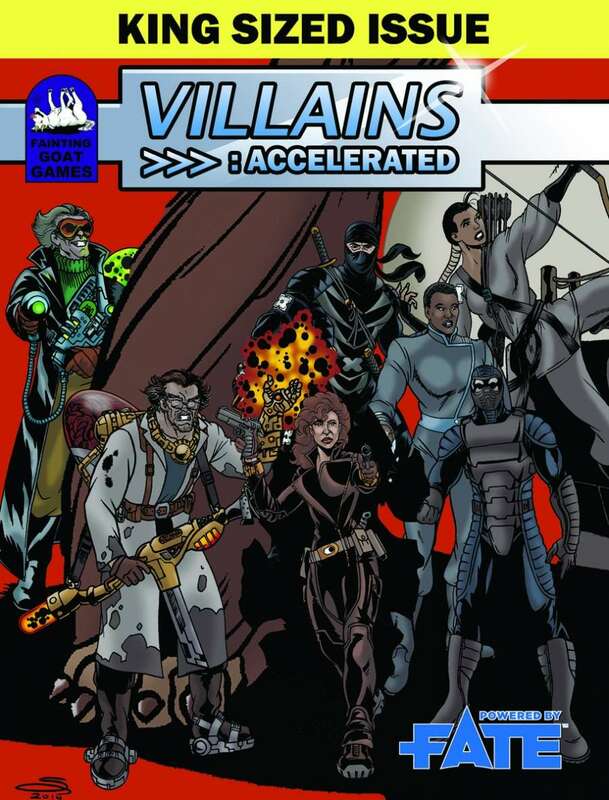 i recently wrote “Villains Accelerated,” which is a collection of supervillains written up for Fate Accelerated.